My edifier X600 speaker stopped working, only green led working, so I opened it up and found some components in bad shape (probably burned). I can solder and do basic stuff but I can't identify those components on my on . A little help to identify those components is what I'm looking for. Here is a close up snapshot of the pcb. The photos are a bit fuzzy but some of the resistors appear to be brown-black-gold banded. If that is the case, they are one ohm. It looks like the same cluster of three resistors and one capacitor is duplicated - can you get a better photo of yours, with the capacitor pushed back slightly so the other resistor is also visible? See here for info on the colour coding used on resistors (and quite a few other components). Hi rjenkinsgb, thank you for your reply. Do you think both of the big capacitors are also done? Or seems like they've leaked fluid which is spread all over. Regarding resistors, I think i understand now, there 5 is a set of one Capacitor and resistor and then there are four identical resistors parallel to that. The capacitors haven't 'leaked', it's simply glue that's there to secure the capacitors. 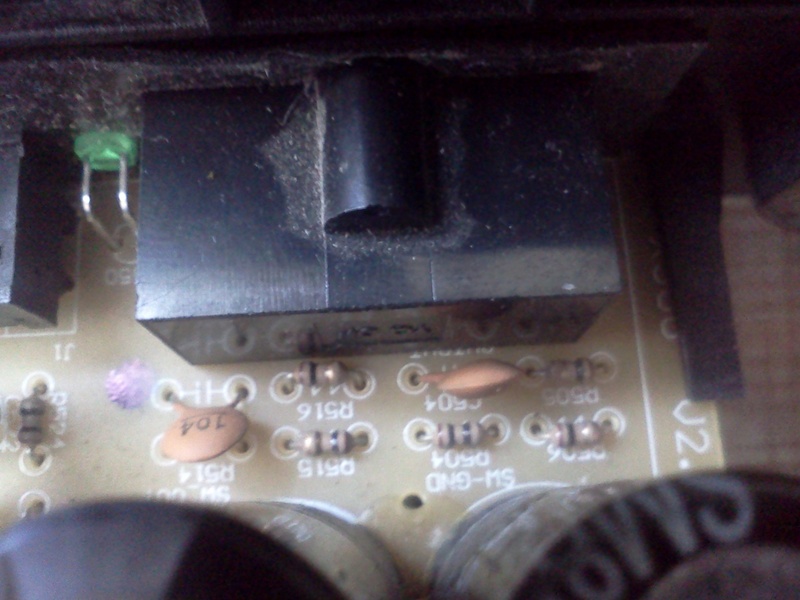 The 1 ohm resistors appear to feeding the sockets next to them, which are presumably the external speaker sockets? - so it's most likely the amplifier for that channel has blown, and the resistors burn up to (hopefully) protect the speakers. So which components do i need to replace to get it working again? Probably the amplifier IC for that channel, and obviously the burnt resistors. There could be other damage as well, but those are the first things to try.